Discount will be applied automatically for group of more than 2 people. You can arrive ON or AFTER the arrival date, not before. Our People will wait you at the airport and help you with stamp process. You won't have to queue. 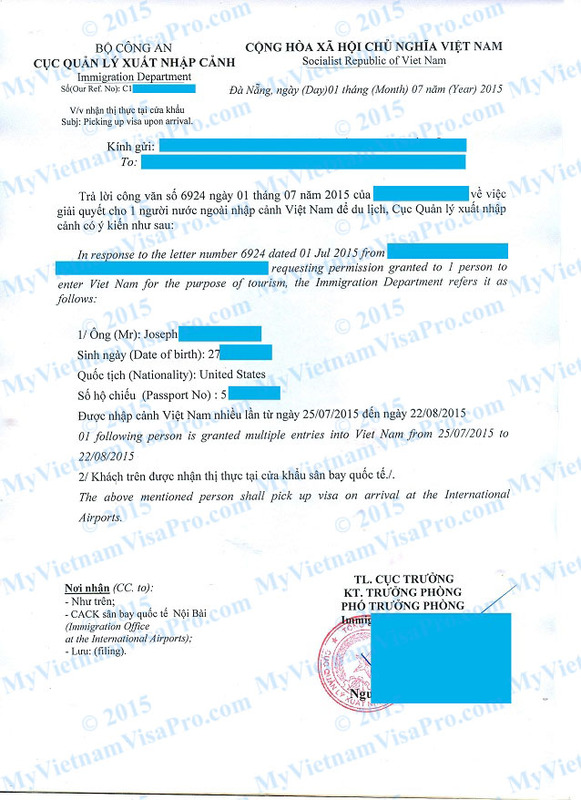 My Vietnam Visa Pro is the only Vietnam Visa Agency that provides standard 01 day service. Other agencies will take 2-3 days. 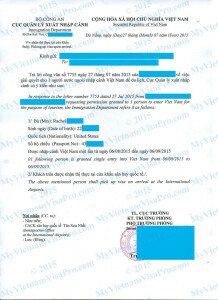 We are the only agency providing Private Visa Approval Letter as a free service. Other agency will charge at least $10/ person for that. We use Paypal payment gateway to secured your payments. All customers are protected under PayPal Buyer Protection Program. Applying process shall be conducted online, hassle-free and take only 5 minutes. 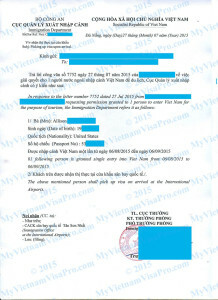 Just choose the visa type you want, fill in the information and make payment. 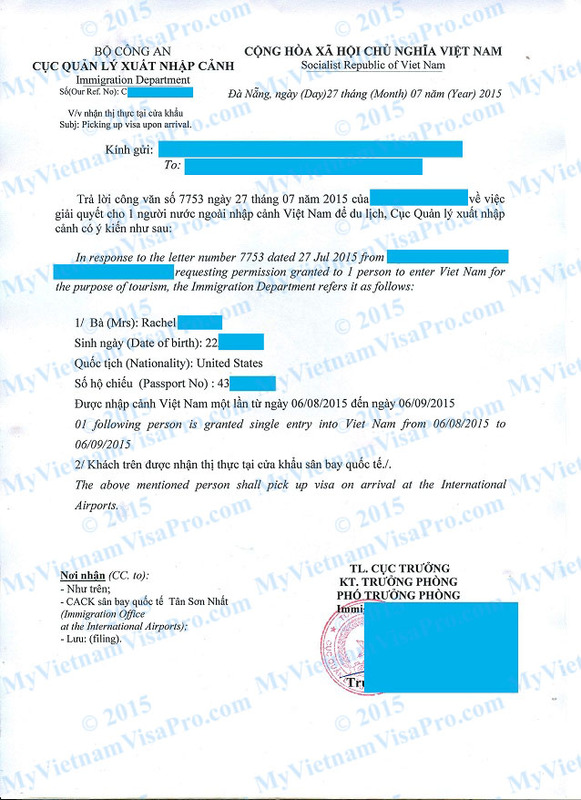 Print out the visa approval letter and the entry form which will be sent to your emailwithin 1 business day. Show them to the airlines for check-in and boarding to Vietnam. 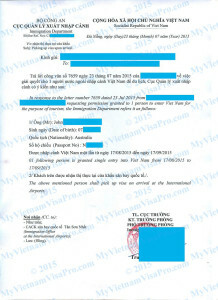 Show the visa approval letter and pay the stamp fee at Vietnam airport. A visa will be stamped to your passport and you are free to travel across the country. 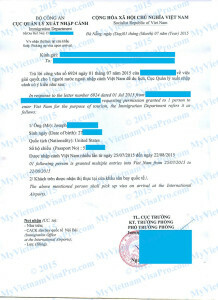 Apply for free Private Vietnam Visa letter? 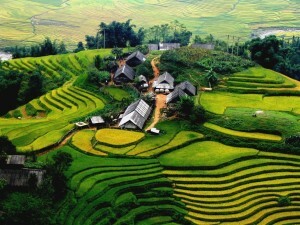 We are the most trustworthy Vietnam Visa Agency with more than 5 years of experiences providing Private Vietnam VOA. Please contact us at: +84 983098412 (whatsapp/viber enabled) for emergency case. 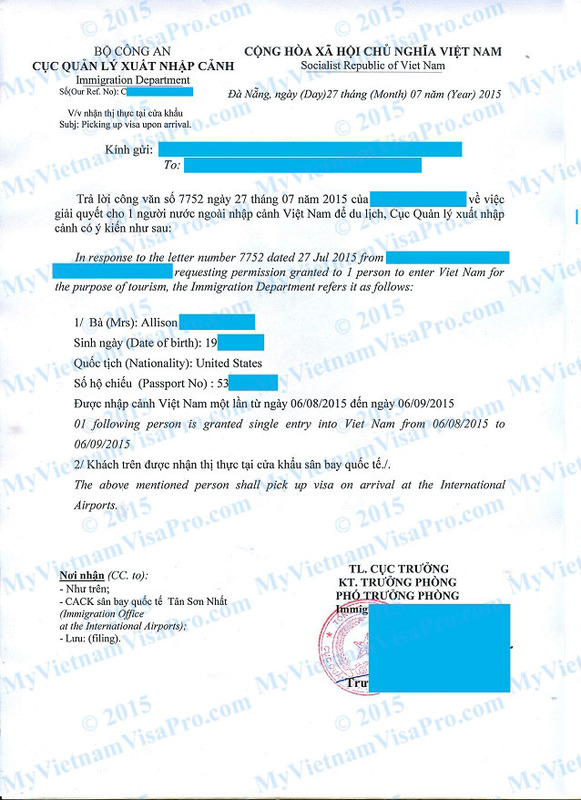 Apply for free Private Vietnam Visa letter? Comments Off on Apply for free Private Vietnam Visa letter?